Sydney Harbor Charters are their specialized private function and charter brand for the leaders in restaurant quality Sydney Harbor Dining - Magistic Cruises & Sydney Showboats. They operate two distinctive cruising experiences on Sydney Harbor tailored to meet the needs of our varied clientele. Since 1987, Sydney Showboats have brought enjoyment to some 3.8 million guests. Sydney Showboats are replicas of the authentic paddle wheelers that plied the waters of Sydney Harbor in the 1800’s, yet provide all the comforts and conveniences of the modern era. The luxury Magistic Cruises commenced operation on Sydney Harbor on April 1, 2001. 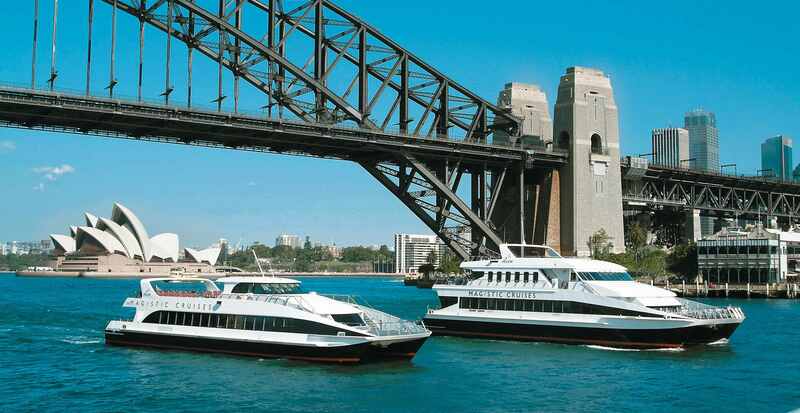 Magistic Cruises is Sydney Harbour’s most outstanding boat cruise company with its exceptional nautical design, superior service and fine cuisine. They have the expertise and the resources to ensure that your cruising experience onboard is truly memorable. While you cruise their professional crew will serve you exclusively designed menus with friendly service like no other. Their philosophy from the very beginning has always been to place the customer first, providing a quality product which is value for money and building a strong team which focuses on constant improvement in all facets of the operation. No matter what the occasion, the professionalism gained from over 20 years experience in the charter cruise industry ensures that you will receive an unparalleled quality of service and attention to detail ensuring every event is a success.